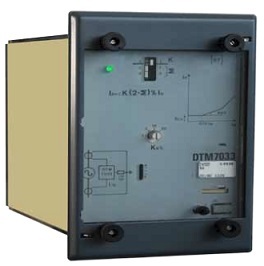 Three-phase percentage biased differential relay. Provides a solution for the protection of rotating machines against internal faults (longitudinal differential protection). Can also be used as a transverse differential protection on machines having two accessible windings in parallel per phase (split windings), ensuring protection against short-circuits between turns on the same winding.